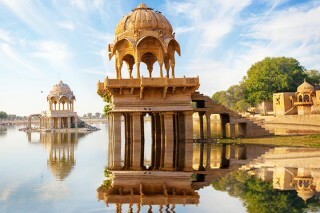 Top 6: Best Honeymoon Places in India in February! February, that oh-so pleasant time of the year comes after the harshness of hard winter and is a herald of spring and summer. It is a perfect time to take you and your significant other on a wonderful honeymoon, to celebrate your status as newlyweds. Explore each other and your interests at one of these picturesque best honeymoon places in India in February! Chock full of adventure sports opportunity, Manali is the ideal honeymoon destination for the adventurous couple. 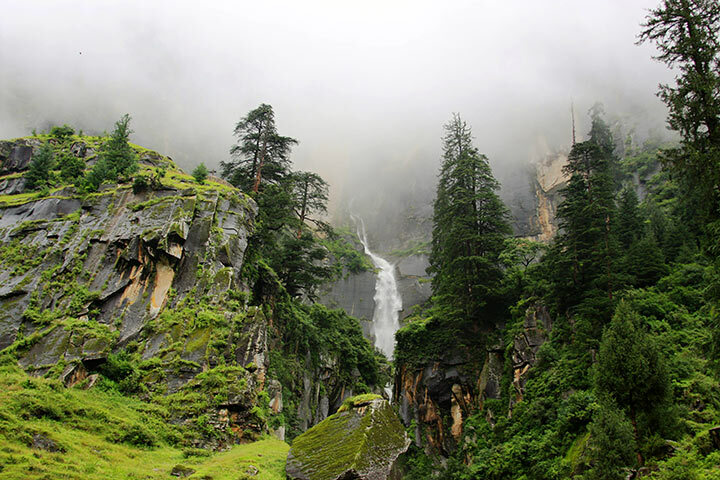 This magnificent little town is situated in the state of Himachal Pradesh and is nestled in some of the most beautiful mountain ranges known to man. 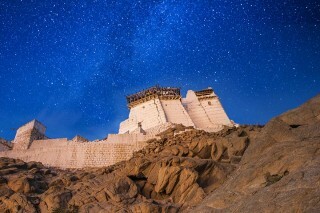 It has various destinations of historical significance, from where you can explore the rich heritage of the region as well as enjoy some unforgettable vistas of regal, snow-capped mountains. Find yourselves in the roaming valleys. Stay in affordably priced hotels and dine on the sumptuous cuisine as you gradually cement your new bonds. 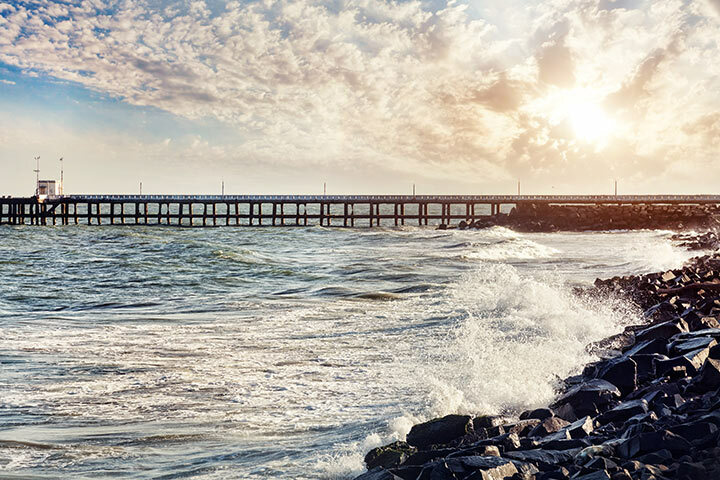 A jewel on the east coast of India, Pondicherry – now called Puducherry officially, but which will always be known as Pondi – is one of the most unique places in India. The last bastion of the French Empire, going there means transporting yourself into an amazing fusion of the east and west. Travel the cobbled streets with delightful little road-signs that are written in French. Enjoy yourself at one of the most beautiful stretches of beach in India, and take an inner journey as you meditate at one of the many ashrams, encounter numerous temples and churches in all their resplendent glory. Eat a croissant together, sip on cafe au lait as you watch the sun dip below the horizon. 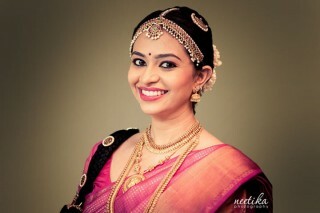 Truly one of the best honeymoon places in India in February. Known to be one of the most picturesque locales on this green Earth, Srinagar is a paradise. Full of ancient settlements, luxurious hotels and bursting with natural beauty, Srinagar has a lot of things going for it. 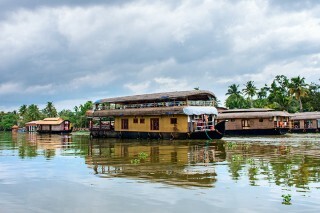 The pristine waters of the calm lames are plyed by numerous houseboats, each more comfortable than the other. 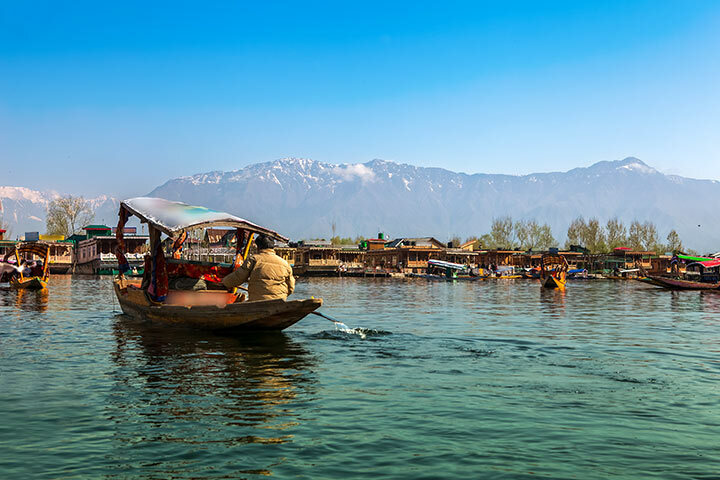 Enjoy an extensive wazwan, an elaborate multi-course meal, as music balms the senses as it floats above the Dal Lake; and retire to a peaceful night, if you so choose it to be. 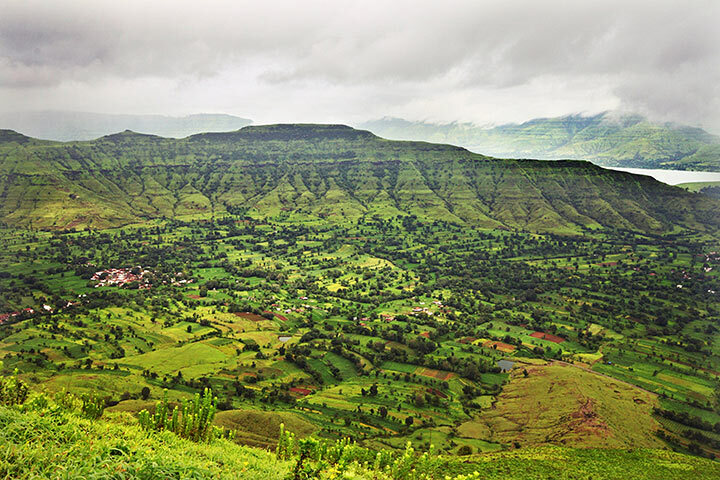 One of the most popular hill stations in Maharashtra, Mahabaleshwar is renowned for its soothing atmosphere and peaceful environment. The aesthetic value and potential of this place is limitless, and as you marvel at nature in all its glory, a romantic mood is soon to flourish. Go for a boat ride on the beautiful Venna Lake, and consider losingyour oars for a while; you have the time. You can also go fishing together and fish is always great fuel to build that appetite. Alternatively, you can also go pony riding, if that’s more your pace. 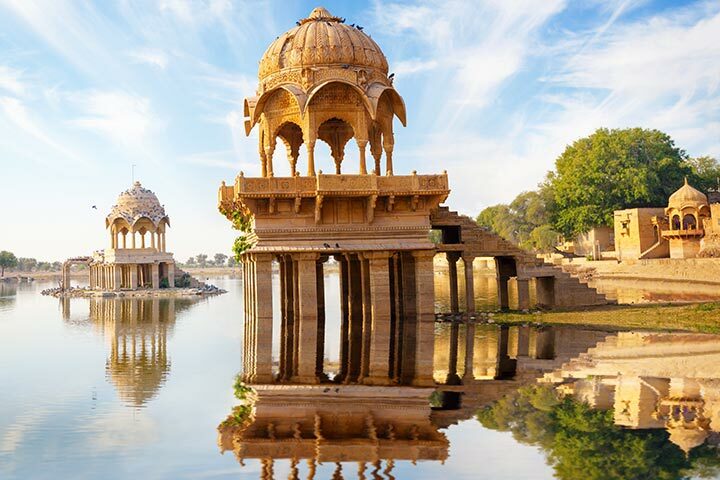 One of the crown jewels of Rajasthan, Jaisalmer is an amazing place to visit in February. With myriad temples and plentiful havelis to visit, along with exploring ancient bazaars, you won’t run out of things to do. If you do find yourself with nothing else to do, book yourselves a camel safari. Go into the dessert and fulfil one or two of those Arabian Nights fantasies that you might have. Bring your romance and fairy tale alive! Let’s face it; one of the things that India is known for is the Kama Sutra. And some of the most clear visual associations that people have with this fine, hallowed work of literature are the statues that are found at the holy site of Khajuraho. This city of temples, gods and goddesses, it definitely goes beyond religion and worship; instead speaking of something more primal. Every line of stone here is dripping with the sensual allure of wanton eroticism and sensuality. This makes it a not so surprising destination for new couples, who rarely regret it; after all, they do find a lot of inspiration.